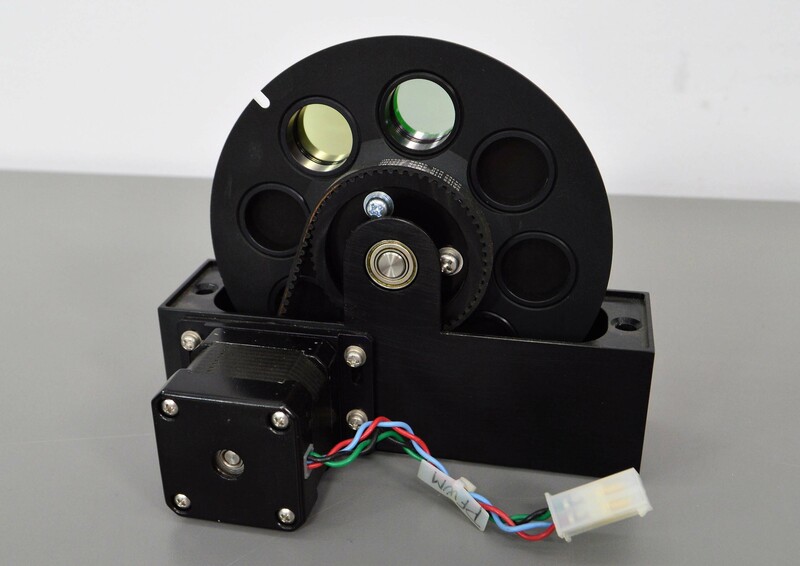 Microscopy Emission Filter Wheel 3900-0062 w/ Fluorescein & Rhodamine Filters . New Life Scientific, Inc. This Microscopy Emission Filter Wheel is in good cosmetic condition, with minor wear and age. It comes with a fluorescein 530 nm filter and a rhodamine Filter 580 nm filter. This instrument is warranted to be functional and is protected by our 90-day warranty.